Cast In Time Ltd provides a unique and specialised service. highest of standards and quality. Cast in Time create exclusive and affordable pieces of personalised art. From the first precious moment of your newborn’s arrival to the very first birthday, your toddlers first steps to their teenage years. Adult years, your loved ones, proud parents and grandparents, all unique individuals.We design, manufacture and produce a Premium Home Casting Kit which enables you to make a cast of your baby’s hands or feet. Due to the success of our Premium Home Casting Kit, we have created and designed two Imprint Kits. All of our kits are sold direct from Cast In Time and throughout Mothercare stores all over the world. A gift you will treasure forever. Beautiful personalised keepsake boxes to hold all of your precious memories from the special events in your life. Each box is carefully and lovingly hand crafted, making every single one individual and special. Abstract art gallery with paintings, biographies and art history. Featuring lesser known, but groundbreaking abstract artists. A new UK web directory set out to become a valuable source of information about outstanding websites and services based in the UK or related to Britain. Over 640 categories for every type of business and website. UK.Photowebs.net : A specialised directory of UK Photography & related commercial web sites as well as information resources. Fantasy art, 3d computer art, History of art, museum listings, art chats and forums, Christmas art, art supplies, digital art, religious art, animal art, online art courses. Add your website to our art database. The Wahm Registry is a worldwide listing of work at home markets joining together to display their best-selling products, promote home business opportunities, and support the growing network of work at home people. e-BusinessMoms.com is your source for infomation about Mothers working online. Looking for something different Must-Haves has it all. For the Best online shops, Great Gifts, Latest Fashions, Entertainment and much much more. is THE directory for WAHM's. Get Listed today! Children's boutique selling clothing, accessories, party supplies, stationery & gifts. Receive a 10% discount if you enter the code ENHANCE at checkout. IdentiKids child Identification wristbands, funky dog tagz for street smart kids and custom printed single use wristbands. all those toys you forgot existed. 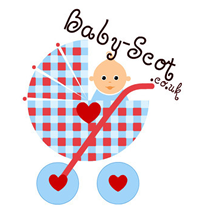 Bay-Bee specialise in sourcing beautiful, unique baby and childrens products that are just that little bit different, including our own product, the 'Snuggly' comforter. Fun teaching and learning resources; ideal for children with special educational needs (SEN), home educators and anyone who wants to encourage learning. Also hosts a growing range of FREE activity sheets and articles. The UK’s first specialist baby signing store. With products from all the major baby signing groups, Chelltune offers you the best choice of DVDs, books, and resources to make learning with your baby fun. Ensure guests can see where they are sitting with place cards from The Little Things, one of the UK’s leading place card specialists. A virtual assistance for all your office administration needs. If you are an individual, small business, or large organisation, and don't want to employ someone full time, are looking for a confidential and professional service then virtual assistance is the answer for you. Trendy Maternity & Nursing wear, baby accessories, new baby gifts, cloth nappies, designer changing bags and more! "Inventors of The Baby Feed Wheel, Baby Medicine Wheel and the Get Well Wheel. Set the dial to keep track of feed and medicine times." We specialise in parent and child keepsake gifts including LovePrints Fingerprint Jewellery, Sentimental Silver, Fairy Tale Jewels and Mummy & Daddy Tags. Free impartial advice for cloth nappies, and sales of leading brands of cloth nappies and natural baby products. Our site shows details about Magazine Subscription Offers. Get 3 Issues for £1 Deals. Personalised photo keepsake candles for all occassions. Babies Online's Baby Photo Contest! Enter your baby, age 0-3, into Babies Online's Baby, You Should Be In Pictures Contest and win hundreds of dollars in prizes!